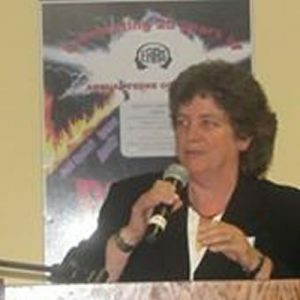 Marcy May has been a senior consultant with Operation Respect since 2007 and for many years the Executive Director of EARS, Effective Alternative in Reconciliation Services, leader of youth empowerment in the Peer Mediation field. She brings thirty years of innovative program development and design to Operation Respect, producing exciting events and life-altering experiences for young people. Under her tutelage, she produced a cadre of outstanding youth leaders, now adults, who are leaders in prestigious NYC and national child welfare, conflict resolution, juvenile justice, and related organizations; many have launched successful businesses of their own. With Operation Respect, Marcy is one of our master facilitators in the New York City Respect for All Initiative as well as a planner, developer, and implementer of school-based initiatives in areas of social and emotional learning, peer mediation, and positive school climate and culture. Marcy’s passion for developing leadership and opportunities for disenfranchised groups can be traced to her early career in community organizing. The organizational commitment to “walking its talk” is a true reflection of Marcy’s values to live what she believes in. Young people praise her as “real” and “good people,” which Marcy considers to be among her most valuable and important assets. Her ability to form strong relationships with young people keep her attuned to their most pressing issues and concerns, and most importantly, to their strengths. She represents a living model of youth-adult partnerships at their best.